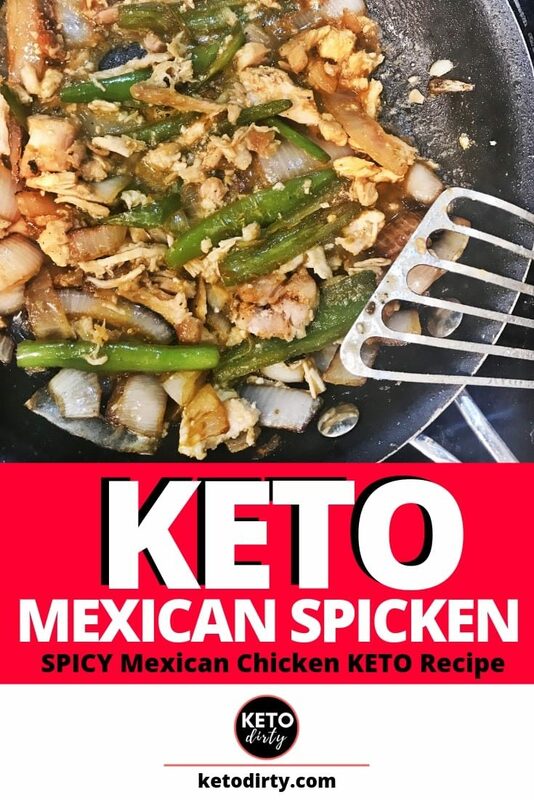 Mexican Spicken – It’s what you get when try our Spicy KETO Chicken recipe. This will be your no go-to chicken dish for meal prep and when you want mexican food! I like things spicy and there was no way I could do KETO if I couldn’t have mexican food. While low carb mexican food does not include tortilla chips and salsa like in a past life, I’ve found alternatives. One Mexican alternative that I am loving to eat is what I’m calling Mexican Spicken. What the HELL is Mexican Spicken, you ask? Well – it’s a Mexican chicken dish. This dish is amazing, and I hope you love it as much as my family does. While they are lame and aren’t all doing KETO with me. Because Lord knows, that would be TOO easy – I am constantly finding work arounds on how to feed the whole family without having to make me a separate dish. This mexican spicken recipe is a perfect example of that. 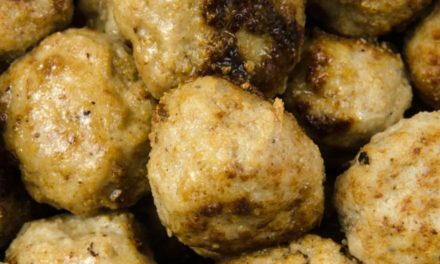 While I eat this either over cauliflower rice or just in a bowl – my family will eat it over regular rice OR in a tortilla. 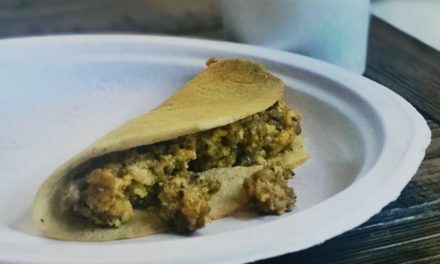 If you are eating low carb tortillas, Mexican Spicken recipe would make an awesome keto taco filling! Let’s get down and dirty – KETO Dirty, of course. 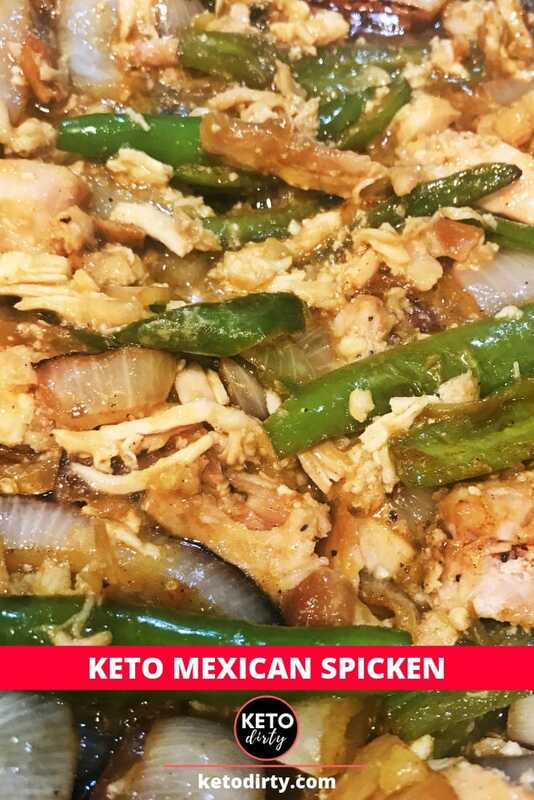 Let’s make this spicy Mexican KETO chicken recipe – that we are calling Mexican Spicken. This is super easy to make. If you pre-make shredded chicken or chicken breasts, this will even be easier. I try to pre-make a few pounds of chicken to help with getting meals together quickly. Delicious and easy KETO chicken recipe! 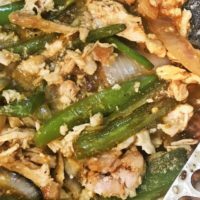 Mexican Spicken is a low carb and mexican food lovers meal. This spicy chicken recipe includes peppers, onions and a secret sauce that makes it wow. Cook chicken breasts either in the oven or on the stove top. Melt butter with garlic in sauce pan. Add in peppers and onions. Another way to use this is for meal prep. 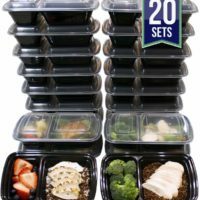 I use the below containers and it makes stacking in the fridge and grabbing while on the go, easy! I pre-make lunches or dinners, and will use this recipe to help cure any Mexican food cravings that I have. If you are pre-making this KETO meal, don't add cheese, sour cream, etc until right before you eat. TIP: I like to pre-make chicken for a few days to cut cooking time down. Keeping pre-cooked meat in the fridge helps me stay on track with my KETO diet. Cook Chicken – Instant Pot It! Cook the chicken to your liking. Like I mentioned, I cook my chicken ahead. I typically Instant Pot my chicken, then shred with our Kitchenaid mixer. I prefer chunky slices of onions over diced, but you do you. Cut the peppers and onions to your liking. When cutting the serrano peppers, this is how to scrape pepper seeds. I cut off the stems and then slice the peppers into 4 long slices. I remove the majority of the seeds with a fork. Tip: If you don’t want this super spicy, remove all of the serrano pepper seeds. You can wash the peppers after cutting and scraping, this will aid in seed removal. MAKE SURE TO WASH YOUR HANDS! Sauté the onions and peppers. I sauté with butter and a little EVOO (extra virgin olive oil) and fresh diced garlic. You don’t have to use garlic or you can use garlic powder. Typically this step will take 10-15 minutes. Keep the burner on low to help the peppers and onions become soft but thoroughly cooked. I like mine a little brown. After your serrano peppers and onions are cooked, add in meat tenderizer. I use approximately 1 tablespoon. This gives your dish an amazing flavor. Next, add in your cooked chicken. Salt, pepper and add 1 tablespoon of soy sauce. I know, soy sauce in a Mexican dish sounds weird -but believe me, it’s amazing. I like to mix it up and let the chicken, serrano peppers and onions with the seasonings melt together. Typically I leave the burner on low for 10 minutes. If you are making cauliflower rice, pop that in the microwave and it will be ready just in time for your yummy KETO meal! I like to finish the Mexican Spicken off with some yummy low carb toppings. Mexican Spicken makes an AWESOME meal for meal prep. I have made this several times and put in these containers so that I have an easy KETO meal to grab whenever I am hungry. There you have it. A delicious KETO Chicken meal recipe that will feed both you and your non-keto family. Enjoy! Please let us know if you make this! If you enjoyed the Mexican Spicken Recipe – please pin on Pinterest and share on Facebook! 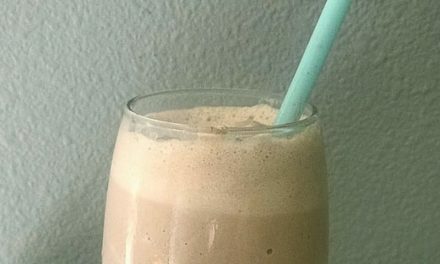 NextChocolate Keto Shake Recipe – It Tastes JUST LIKE A Frosty! Chocolate Keto Shake Recipe – It Tastes JUST LIKE A Frosty! Please note that we are not a medical or nutritional professional. We are simply sharing our own experiences on this blog. Nothing expressed here should be taken as medical advice and you should consult with your doctor before starting any diet or exercise program. While we do our best to be as accurate as possible - you should independently calculate nutritional information on your own. We expressly disclaim any and all liability of any kind with respect to any act or omission wholly or in part in reliance on anything contained in this website. 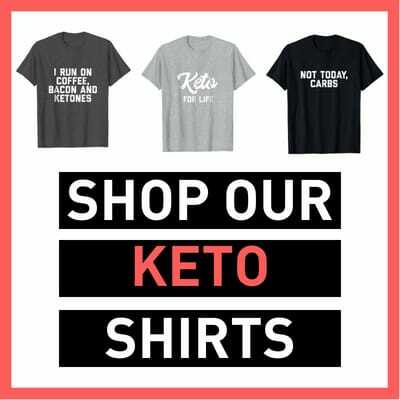 Know What KETO Food to Buy at the Store! Do You Have These Keto Flu Symptoms? You May Have the Keto Flu! ©KETODirty.com Unauthorized use and/or duplication of this material without express and written permission from this site’s author and/or owner is strictly prohibited. Excerpts and links may be used, provided that full and clear credit is given to KETODirty.com with appropriate and specific direction to the original content. Links on this site maybe affiliate links. When purchasing thru one of these links, we may receive a small commission at no cost to you. 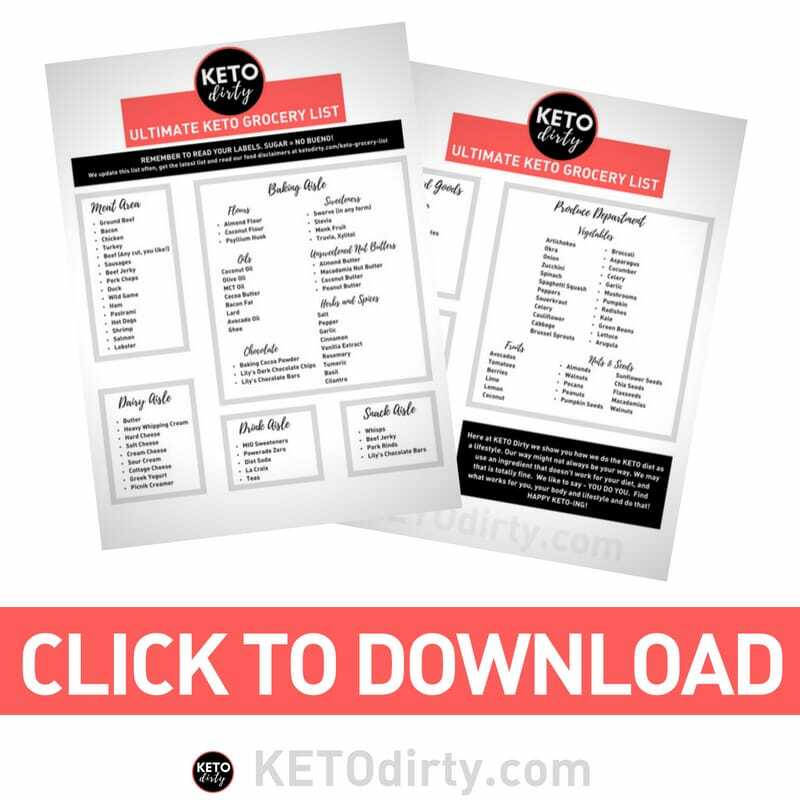 KETO Dirty is a participant in the Amazon Services LLC Associates Program, an affiliate advertising program designed to provide a means for website owners to earn advertising fees by advertising and linking to amazon.com, audible.com, and any other website that may be affiliated with Amazon Service LLC Associates Program.